During his third State of the Nation speech at the Legislative Assembly on Wednesday evening, Solís said that he, despite facing big obstacles, has managed to achieve big changes in many areas. For about three hours the president listed the actions and achievements of his administration. He divided them into three main areas: Boosting economic growth and job creation; reducing inequality and combating poverty; and the transparency and efficiency of his administration. At both the opening and closing, Solís raised his voice and energetically said that his administration has shown that “it is possible to achieve results without fear, and mainly without corruption.” He stressed that the absence of corruption during his administration is one of the main indicators of a change. “We did it despite of those who want to discredit us by calling out corruption, where there is not a glimmer of it,” he said. As evidence, Solís noted that Costa Rica achieved its highest rating in Transparency International’s Corruption Perceptions Index in 2016. The country scored a record 58 points last year, “a year in which the standard was the setback in most countries,” he said. He added that administration leaders have acted “promptly and effectively” whenever doubts have arisen about some of their decisions or actions. As an example he cited the intervention of public agencies such as INFOCOOP. However, he did not make any references about improper salary payments that four of his vice ministers and one minister received. Solís highlighted the improvement of the local economy as one of his main achievements. He mentioned various indicators such as the reduction of the fiscal deficit and the growth of national production from 3.7 to 4.1 percent in 2016. “We recorded those figures despite an international environment in which Latin American countries on average recorded reductions,” he said. He urged lawmakers, however, to pass fiscal reforms that the Executive Branch has proposed in order to further reduce the deficit. These measures also aim at reversing the downward trend in debt ratings issued by international agencies. He also cited as a major achievement the payment of 55 percent of the government’s debt to the Social Security System. He said that poverty in rural areas also fell from 30.3 percent to 25.7 percent in 2016. The president also said that there has been a strengthening of public education and public health programs, and that there were significant improvements in the infrastructure of public schools and hospitals throughout the country. He mentioned several projects to build or repair public roads, bridges, aqueducts and other public infrastructure. He recalled that all these projects can be reviewed on an interactive map of all the projects of the current administration, launched last week. See the map here. While opposition leaders and private sector representatives acknowledged some of the president’s achievements — mostly in economic areas — the majority were skeptical about his upcoming year in office. Business sector leaders acknowledged that President Solís has made noticeable improvements in poverty reduction and other economic areas, but were negative about the lack of specific proposals for the remaining of his term. 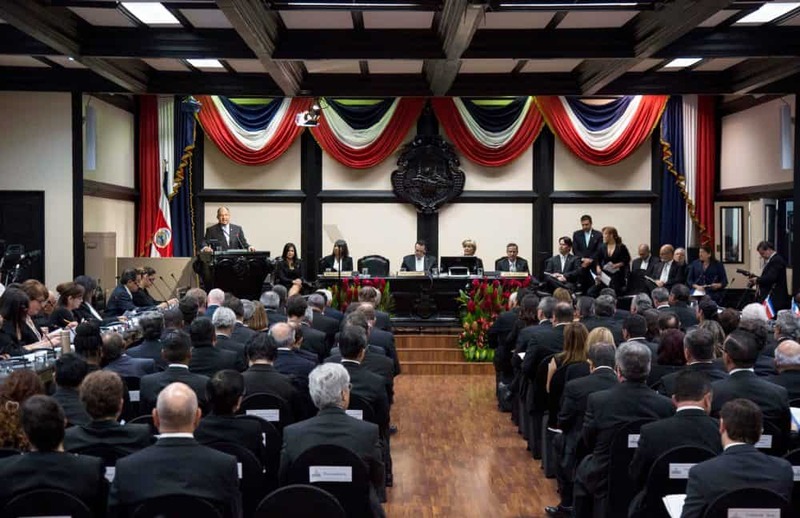 Franco Arturo Pacheco, president of the Costa Rican Union of Private-Sector Chambers and Associations, said in a news release that it is irresponsible for the president to propose solving the fiscal deficit only by raising taxes. “Funds from tax collection will never be enough if the government don’t cut its spending first,” he said. Private-sector leaders rated Solís’ performance during his three years in office with a 5 out of 10 in a recent CICR survey. The negative reception to the president’s report also was evident among leaders of opposition parties. Most of them criticized Solís, among other things, for taking credit for the achievements of previous administrations and for the lack of clarity regarding his future plans. 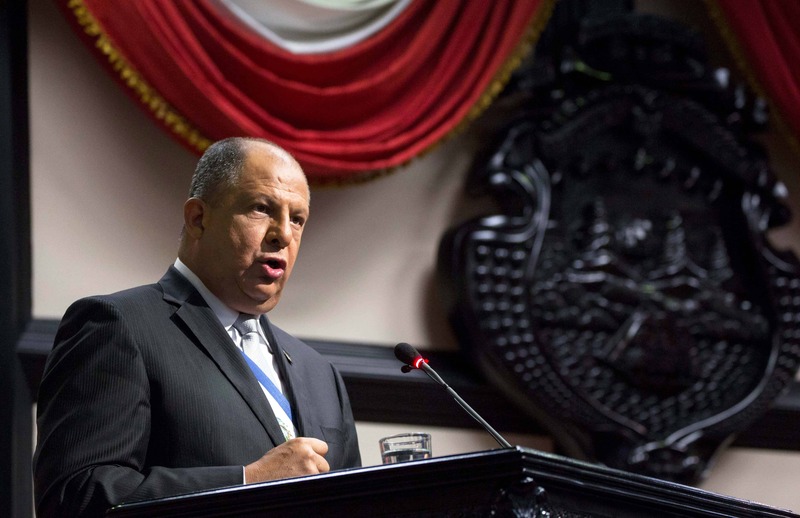 Rolando González of the National Liberation Party, the largest opposition group in the Legislative Assembly, said Solís’ speech listed only a few relevant aspects of his administration and failed to present a full report. “He didn’t report anything on, for example, foreign policy,” he told reporters at the end of the speech. Redondo said that the current administration has failed to show major transformations and that the country’s structural problems still persist. The new Vice President of the Assembly’s Directorate, Libertarian Natalia Díaz, said the president’s report does not represent the vision of a statesman, and that it failed to address the challenges for the government’s final year. According to Social Christian Unity Party leader Luis Vásquez, Solís’s speech was “not an accurate reflection of the country’s reality,” he said. National Restoration Party’s Fabricio Alvarado said that even though Solís talked a lot about transparency, he also omitted discussing anything that could compromise him.